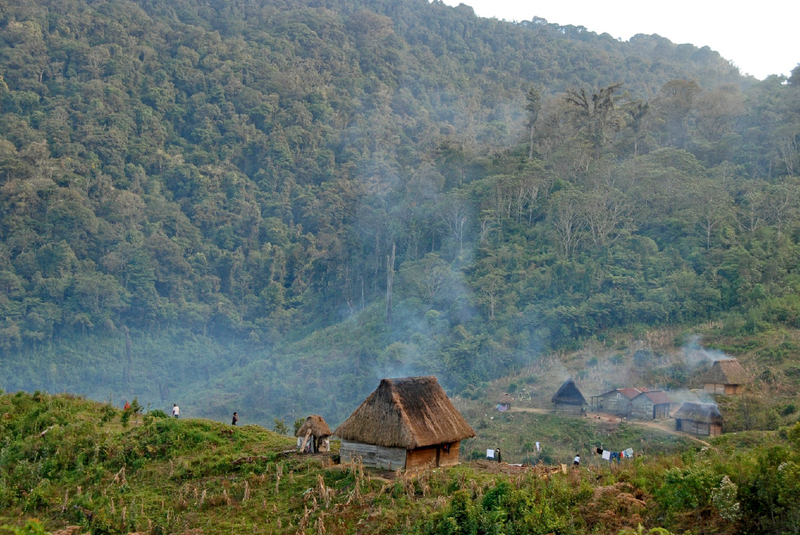 In rural areas of the developing world, fuel for cooking is often derived directly from forests and forest fragments. Wood cutters sell fire wood by the truck load, exploiting natural forests and forest fragments, transporting wood to the towns and semi rural areas where the forests have already disappeared. Firewood sales is a contributing factor to deforestation. A holistic approach to forest protection has to take into account people’s need for cooking fuel. CCFC recognizes the need for fuel in this context. 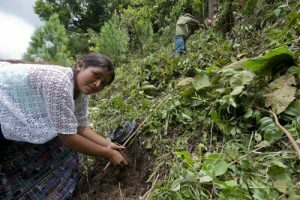 So in order to protect existing primary forests, CCFC is working with villages along the cloud forest corridors of the region to establish “energy-wood parcels”. These 20 meter by 20 meter parcels are planted with fast growing native hardwoods and semi-hardwoods. The direct and practical benefit is that villagers do not have to walk as far to find firewood. The environmental benefit is that energy wood parcels take wood harvesting pressure off the primary forests. Secondary benefits include erosion control, soil conservation, and short term carbon capture. ** Firewood is the only cooking fuel available in these remote locations. Recent monitoring has shown that forest parcels just two years old are already suitable for sustaining foraging migratory birds such as the Wilson’s Warbler and the Golden-winged Warbler. *** The trees are planted to be cut down, but the short term benefits are significant and it is a real help to families living in remote, mountain villages. Energy-wood parcels should not be confused with reforestation. Energy-wood is a crop. Energy-wood is making the best of a less than perfect situation, a pragmatic conservation measure. ** It is worth noting that firewood is the only cooking fuel that captures carbon while it is being produced.